As with most Mercian frames – the Vincitore model can be built to suit most disciplines – from track, audax to full-on touring. In this age of speed of manufacture it is pleasing to find a frame with intricate lug work, cut by hand, as our Vincitore model. 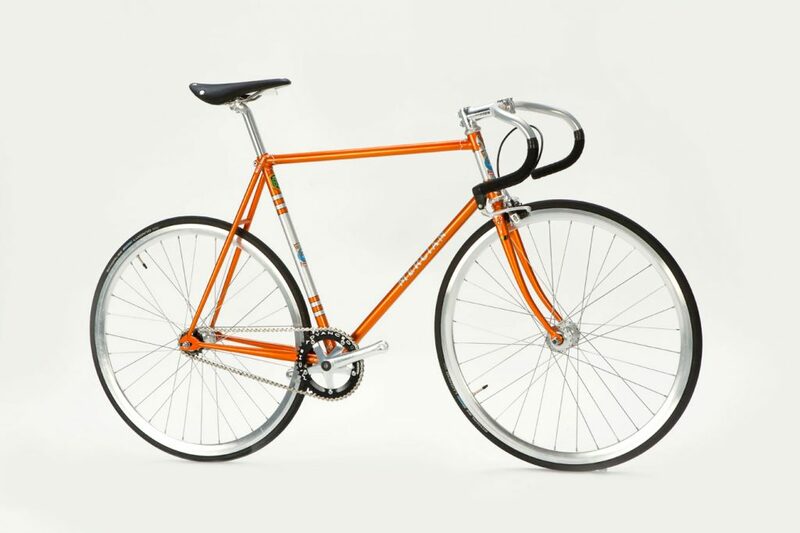 The Vincitore and Vincitore Special, introduced to the Mercian range around 1965, has for many years been the model that lots of riders aspire to own when they are looking to purchase that “special” frame. If you are looking for a frame that is distinctive, beautiful, hand-built (as all our frames) by one craftsman from start to finish, which is perfectly at home on day rides or on touring holidays – this could be the frame for you. Hours are spent cutting and filing the Vincitore lugs from plain/blanks, the result is a work-of-art, aesthetically pleasing and structurally more rigid owing to the longer lugs. 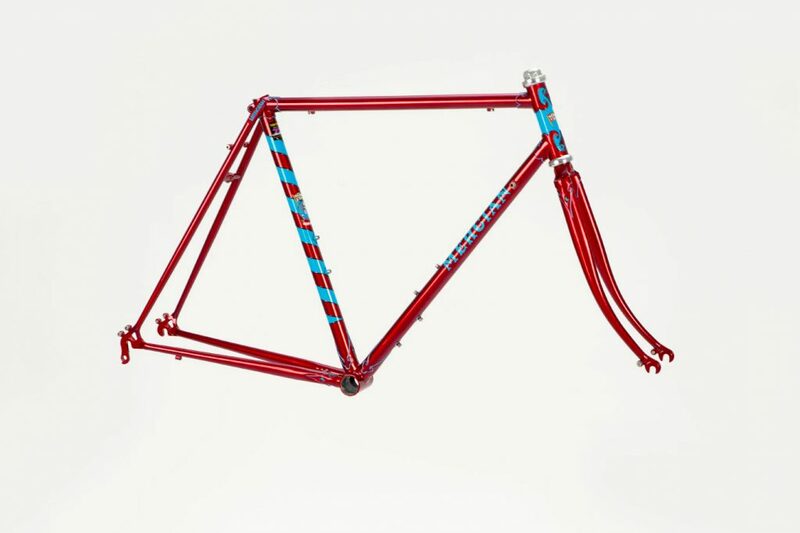 A distinctive frame available only from Mercian. 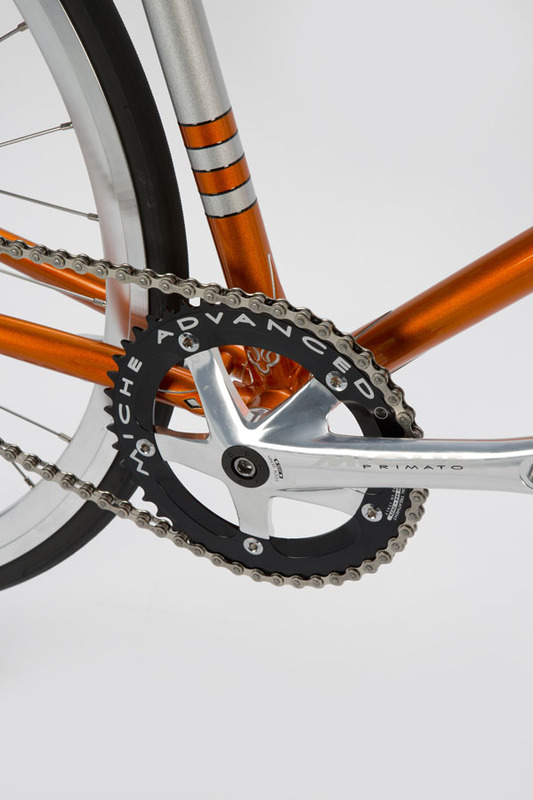 The Vincitore standard model has the spearpoint head lugs, fork crown and hand-cut seat lug, with a hand-cut bottom bracket but without the long profiled spearpoints of the Vincitore Special. Finish – Main finish with contrasting head tube and seat tube band, lugs lined, all in colours of your choice with Mercian transfers and crests. Additional bands, colours or barber’s pole no problem, extra as price list. Enamelled metal headbadges also available (but please be aware that due to the spearpoints on the head tube of the Vincitore model a headbadge won’t fit on smaller frame sizes). 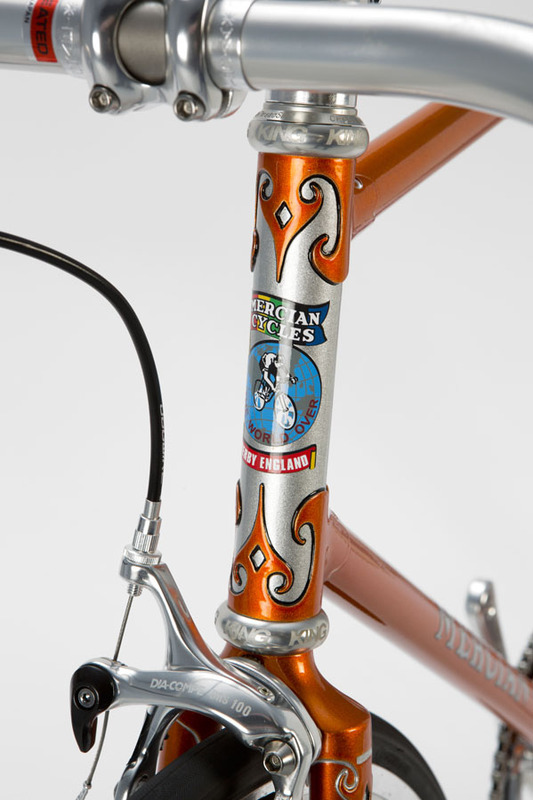 Mercian engraved top-eyes brazed on to top of seat tube. Clearance for 700C wheels and mudguards if required. 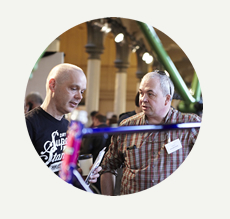 Complete bikes include an additional set of bottle bosses on the seat tube and 4 point rear rack eyes at no extra charge. Available in Reynolds 631, 725, 853 and 853 Pro Team. To upgrade to the Vincitore Special please add £285.00 to the above prices.